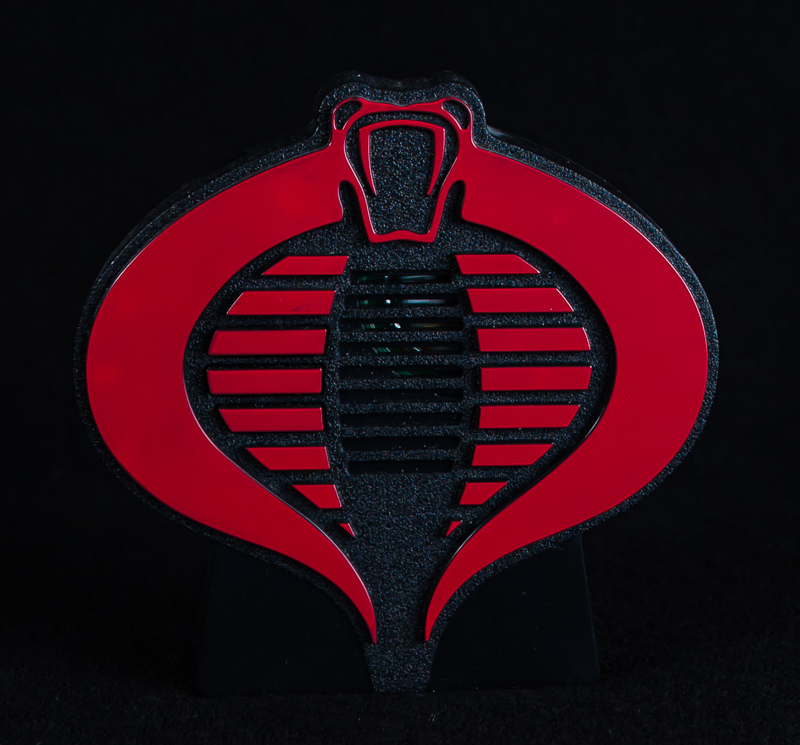 This Cobra logo is in very good condition and full working order. There is a button which when pressed plays some of the theme song from the vintage cartoon. Nice little piece that goes well with any loose Cobra figure display. 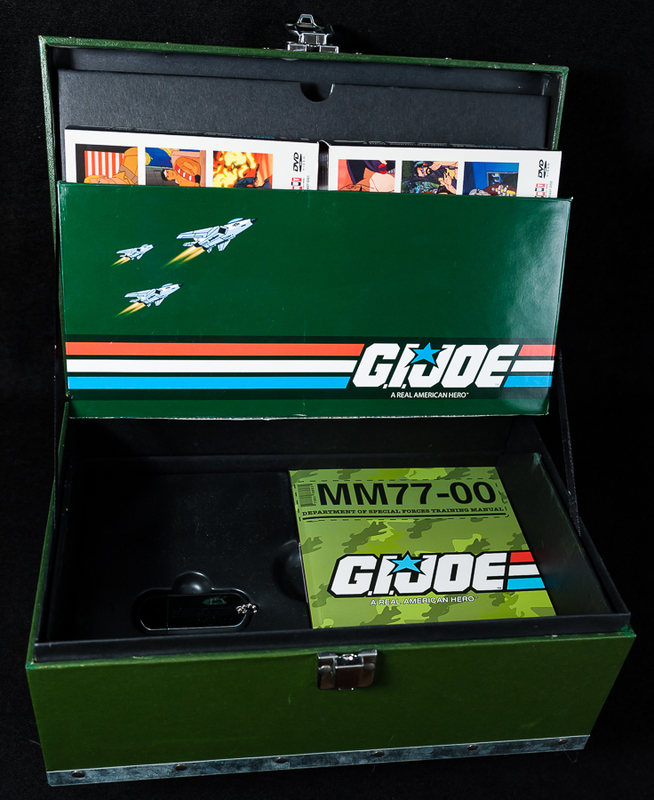 Loaded with over 36 hours of content, this 17-disc collector’s set of G.I. 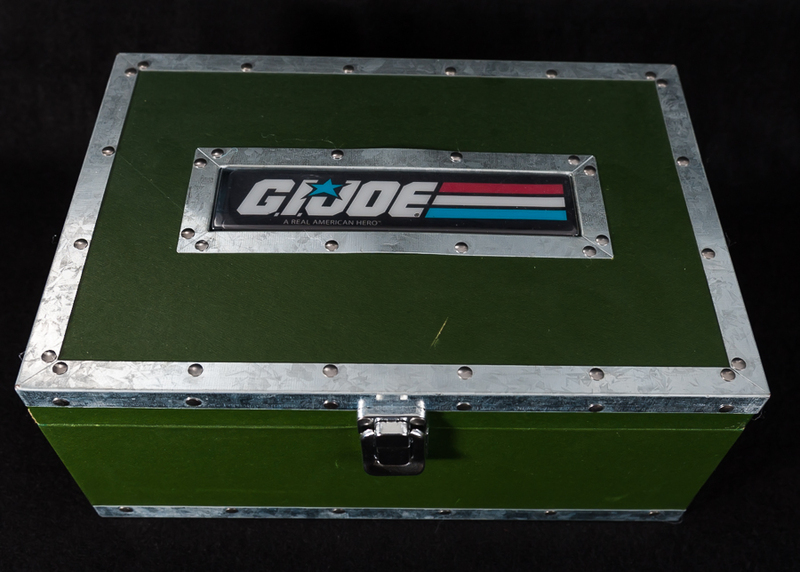 JOE: A Real American Hero contains all 95 episodes including the final episodes that have never been available on DVD until now, brand-new bonus features celebrating G.I. 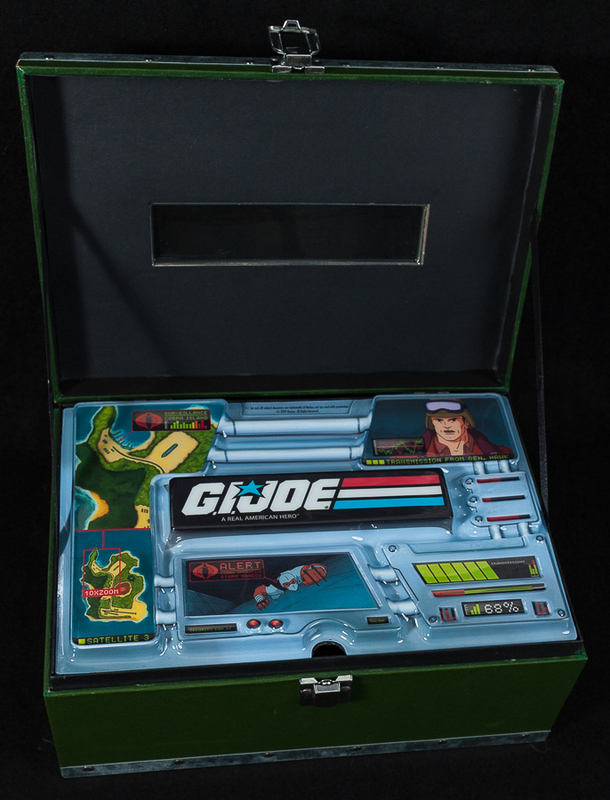 JOE’s rich history, a special collectible book, an exclusive 1-GB “Dog Tag” Flash Drive (USB 2.0) with G.I. JOE silent comics, and special Arashikage and Cobra Rub-on tattoos. All collected in a specially designed deluxe footlocker case. This is a Regiuon 1 DVD Set and is in great condition with unused contents.